New World Saigon Hotel in Ho Chi Minh City offers over 2,000 square meters of elegant meeting, business conference, event and wedding venues. They can be configured in a variety of ways, with a choice of décor from classic to contemporary, and can accommodate up to 486 guests. Every venue has state-of-the-art audio-visual equipment and our experienced team takes pride in planning every detail to ensure that everything runs smoothly. 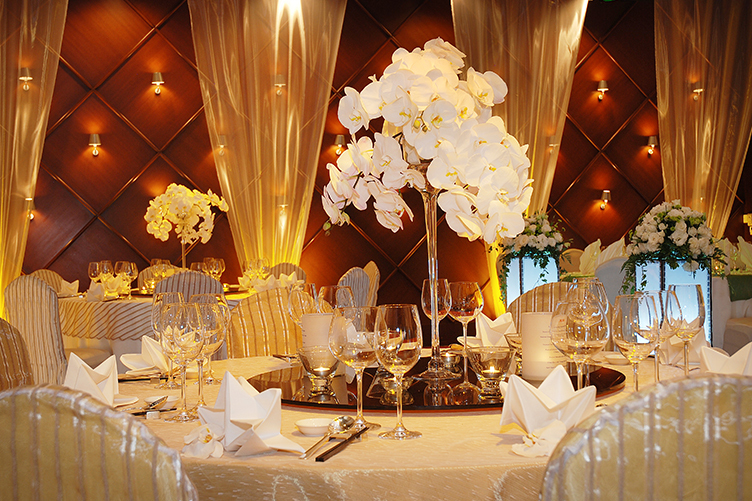 The magnificent Grand Indochine Ballroom is a pillar-free, 371-square-meter expanse. Equipped with the latest sound equipment for both voice and music, the ballroom can be configured into two smaller spaces. 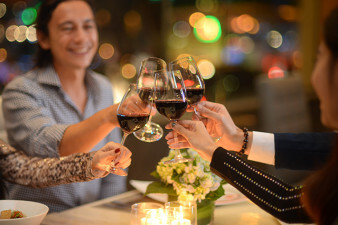 That might mean the 97-square-meter Vietnam room for pre-dinner cocktails, and the 279-square-meter Indochine room for the banquet that follows, for up to 288 guests. A wedding with the sun smiling upon you or a party under the stars – make your celebration even more memorable by hosting it on our Outdoor Terrace. With a capacity to serve up to 350 guests and with views of our lake-shaped outdoor pool and small herb garden, it’s a venue of magical ambience in which to create everlasting memories. The 333-square-meter Ben Thanh Hall on the first floor is a pillar-free space decorated in a contemporary style. As a single space, the hall can accommodate up to 486 people in a theatre setting or 300 for a formal banquet. Or it can be configured into three rooms to accommodate the needs of different functions and occasions. The hall features the latest audio-visual systems and a reception area is available for registration and pre-event cocktails. 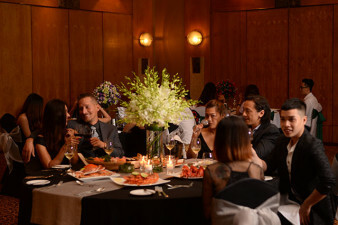 The stylish Grand Mekong Ballroom on the first floor can accommodate up to 288 guests in a banquet setting. 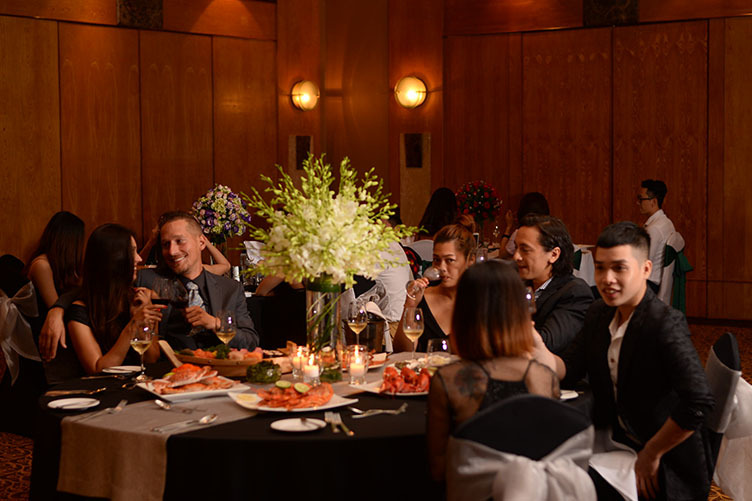 It can be divided into three 100-square-meter Mekong rooms for up to 100 guests each, or divided into two Mekong rooms of 100 and 200 square meters to accommodate 100 and 200 people. This versatile venue has the latest audio-visual and presentation equipment to ensure that every function looks and sounds its best. 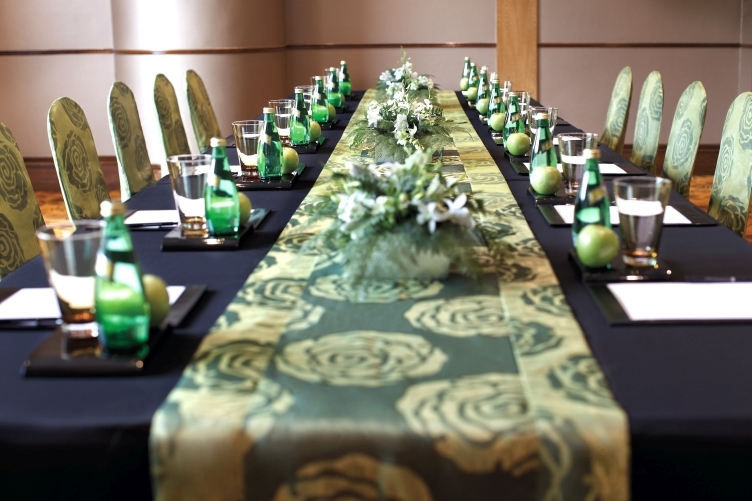 We have two 52-square-meter meeting rooms, which can be set up individually for 42 guests per room, or combined to serve 84 guests in 104 square meters. 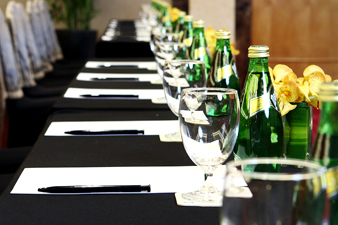 As with our other meeting and event venues, the meeting rooms have the latest audio-visual and presentation equipment, making them ideal for small meetings or breakout seminars. Whether for business or pleasure, food is an important aspect of any occasion. That’s why we are delighted to offer Outside Catering in buffet, sit-down or canapé style services as per guests’ requests. 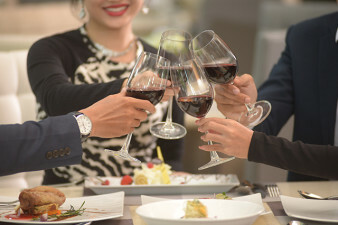 With impeccable service from professional staff and the capacity to serve up to 1,000 guests, Outside Catering is an excellent choice for your next work meeting or personal event.